Schedule a family interview with the Primary or Elementary Guide. Submit completed registration packet and non-refundable registration fee. The purpose of our registration process is not to judge the child or the family or to select the “best” students from a pool of applicants. Rather, each step is designed as an interaction to gain information about the family and the child and to share information about the school with parents. The major focus of the interview is to determine congruence of values and goals between home and school. Secondarily, the interview helps to determine the readiness of the child for the classroom experience. 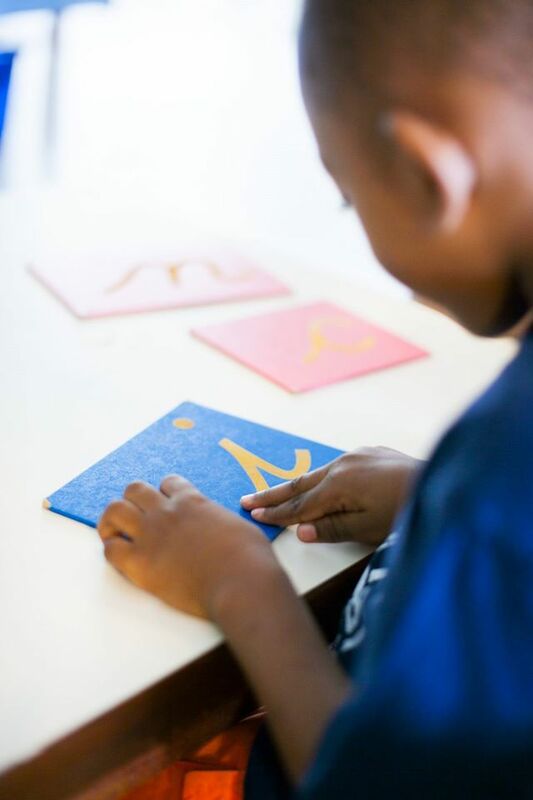 St. Croix Montessori is a non-proﬁt school where all children are considered for admission based on their readiness for school and potential for success in a Montessori classroom. Some criteria we will consider for admission eligibility are listed below, but other factors are also considered such as age, space availability, readiness of the child for the classroom experience, and prospective parents’ commitment to three or four years of Montessori education. Admission without prior Montessori experience is considered after careful discussion with the parents and a student or family interview with the Primary or Elementary Guide. All forms in the registration packet and non-refundable registration fee must be completed prior to the start of the ﬁrst day of class. Students will not be permitted to participate in classroom activities until the forms are completed and the fees are paid. St. Croix Montessori admits students of any race, color, sexual orientation, national and ethnic origin to all the rights, privileges, programs and activities generally accorded or made available to students at the school. It does not discriminate on the basis of race, color, sexual orientation, national and ethnic origin in the administration of its educational policies, admissions policies, scholarship and loan programs, and athletic and other school-administered programs. Thank you for your interest in Montessori education at St. Croix Montessori! We look forward to meeting you and your children. Please fill in the online form below and we’ll contact you to schedule a visit!